This is one of my hubby's favorite non-vegetarian dish, which he loves to enjoy with rasam rice. 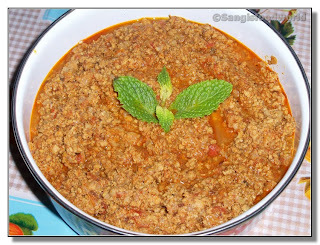 He usually loves it spicy, and I have used bit more of pepper seeds for him, so do adjust the spiciness for your taste. This is one of the recipes I got from my mom-in-law. This is a simple side dish I made for yesterday's dinner. The combo of radish with peas and shrimp worked out really well. 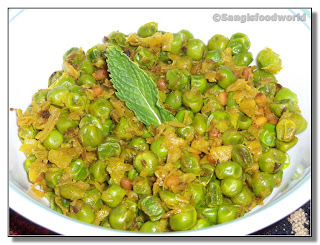 I just tried to add peas to my usually mullangi eral recipe, that turned out to be good with additional flavor and mild crunch from peas. 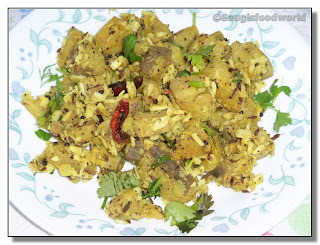 Here comes a simple side dish, I made in a jiffy for our dinner today. 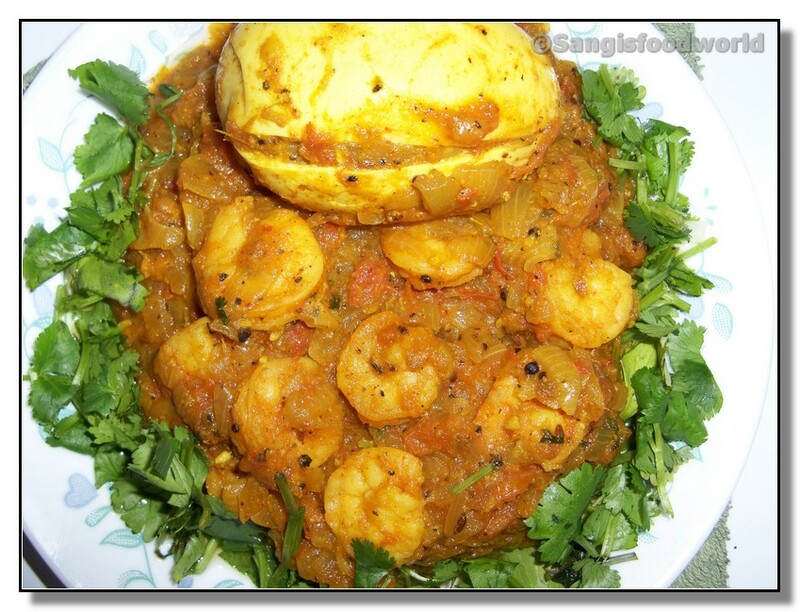 This dish took just 10 minutes to be done, but tasted great with chapathi. 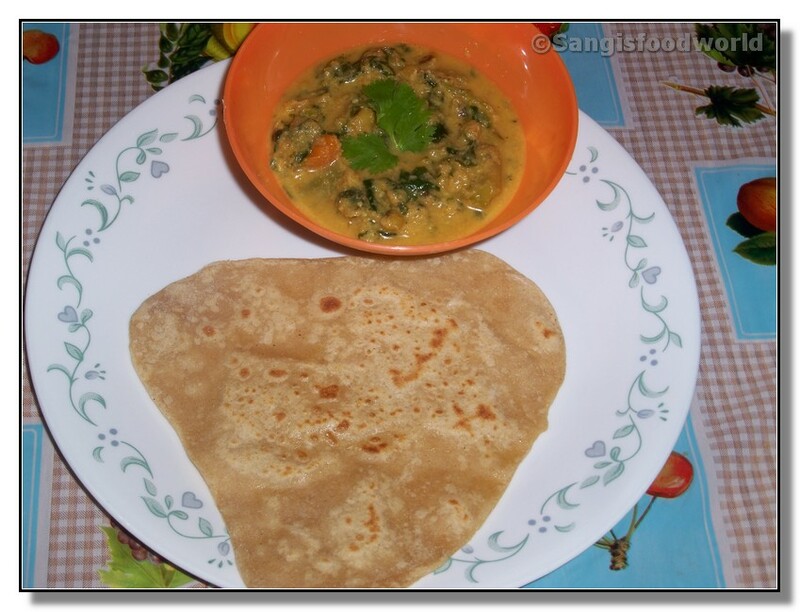 No fancy ingredients, no grinding, no roasting, nothing.. Just as simple as it could get but tasted great with chapathi. Thinking about some rice for our lunch today, didn't want to make the usual veggie pulav nor the fried rice nor any of the usual variety rices. As usual the left over vegetables, gave me an idea for new rice and i decided to make this Capsicum black eye peas rice. 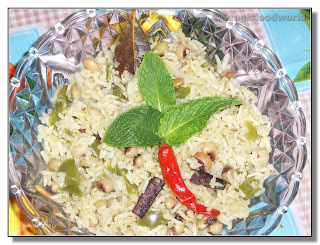 As, I was chopping the mint, ginger and garlic, suddenly I changed my mind to grind all the three together to make the pulav with mild mint pulav, thus came the Capsicum black eye peas mint pulav. As summer is progressing, I wish to have some cool drink in the evening time rather than the usual coffee or tea. 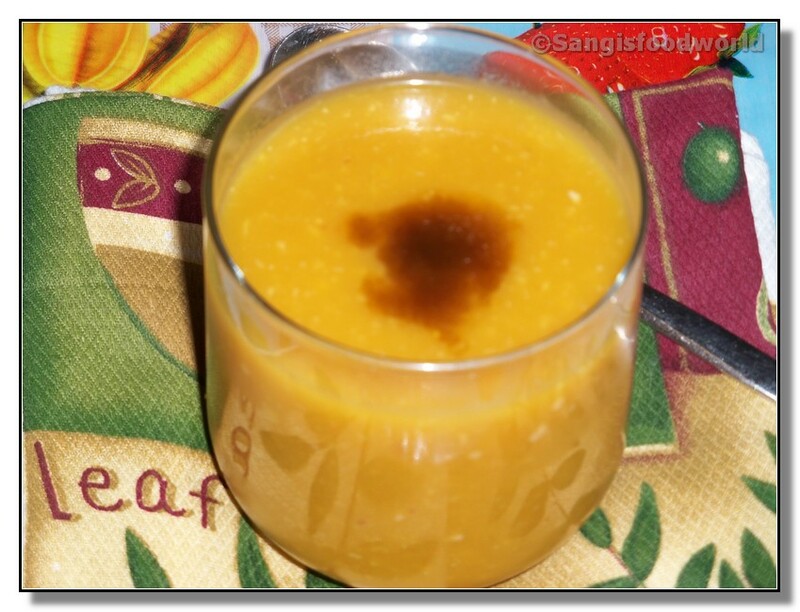 So came the Cantaloupe Peach Almond smoothie. I just threw in some cantaloupe with peaches I had in my fridge into a blender to make a light drink. Then I thought of getting it bit rich, by adding few almonds. Also I added, a spoon of brown sugar for little more sweetness. Week end shopping bag, came with a huge, red, pulpy, juicier water melon. It was bright red in color, that tempted me to taste a huge chunk, but it was not sweet enough. I didn't want to waste it, so decided to make some juice out of it. 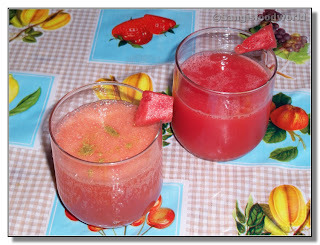 Buy adding few ginger pieces, lime juice and some brown sugar, the water melon turned out to be a great cooler for the raising temperature here. 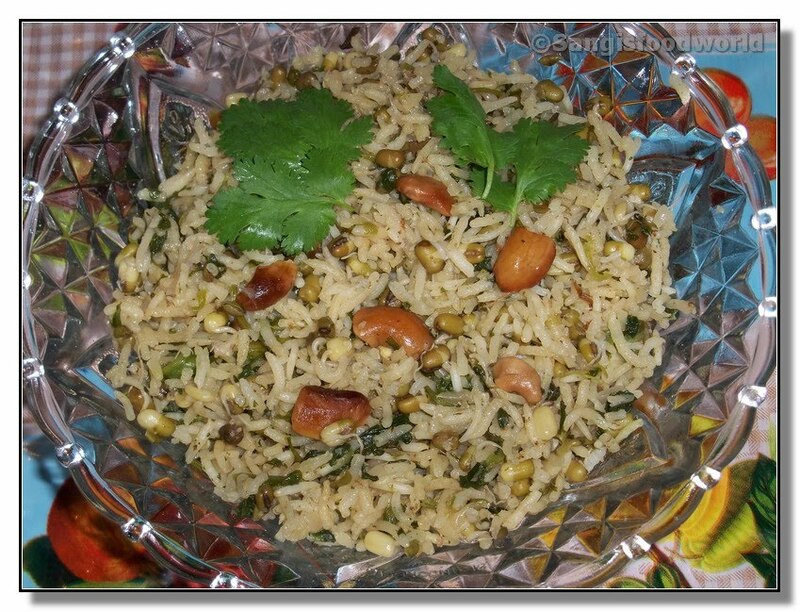 I made some whole moong bean sprouts salad, for evening snack. 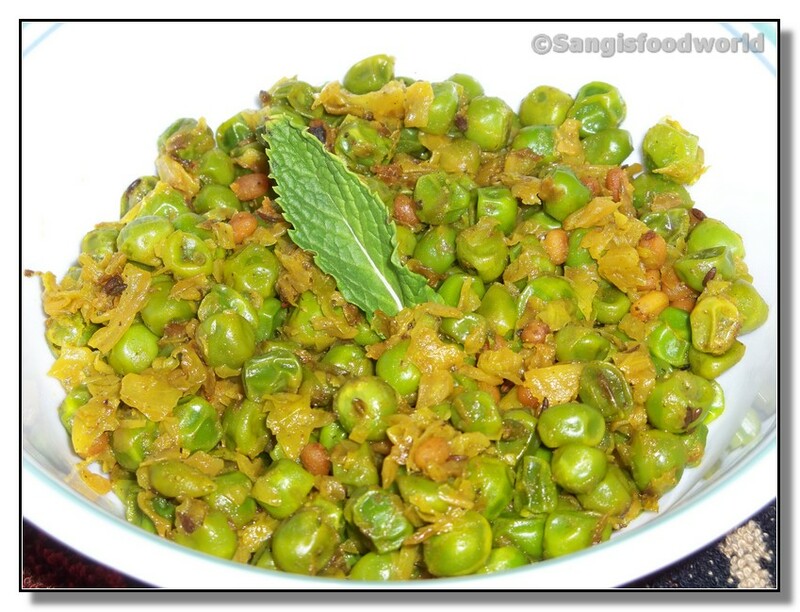 My mom always used to make this sprouts salad for our snack, which we call mulai kattina pachai payiru in Tamil. 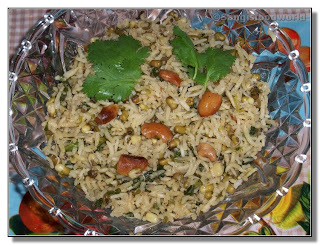 This simple salad with a touch of lime juice will be a great refreshment in the evenings, when back from college. Left over dosa batter, always turns out to be a simple and yummy dish for the snack time. 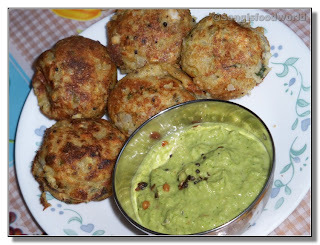 In that row, comes the Broccoli Multi-Dal kuzhipaniyarams, made from left over Broccoli Multi-Dal Dosa batter. 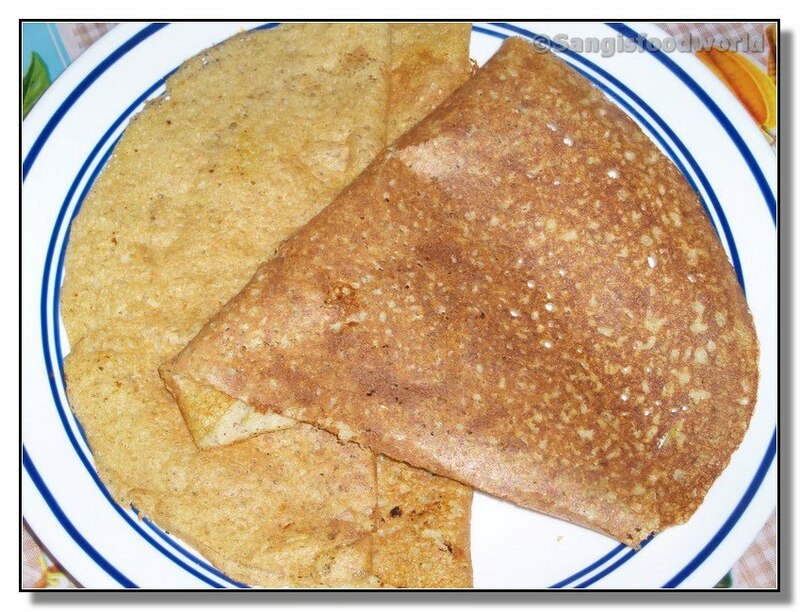 Why always eat the traditional style rice flour dosa?? 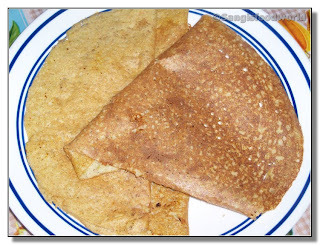 Why not try some dosa batter, that needs no fermentation and also needs less soaking time of the ingredients?? There I came up with this Multi-Dal dosa recipe. Thought of making it healthier and added my husband's favorite veggie, Broccoli to it. To my surprise the dosas were really delicious, and now this will be my quick fix for dosa, when I run out of usual dosa batter. 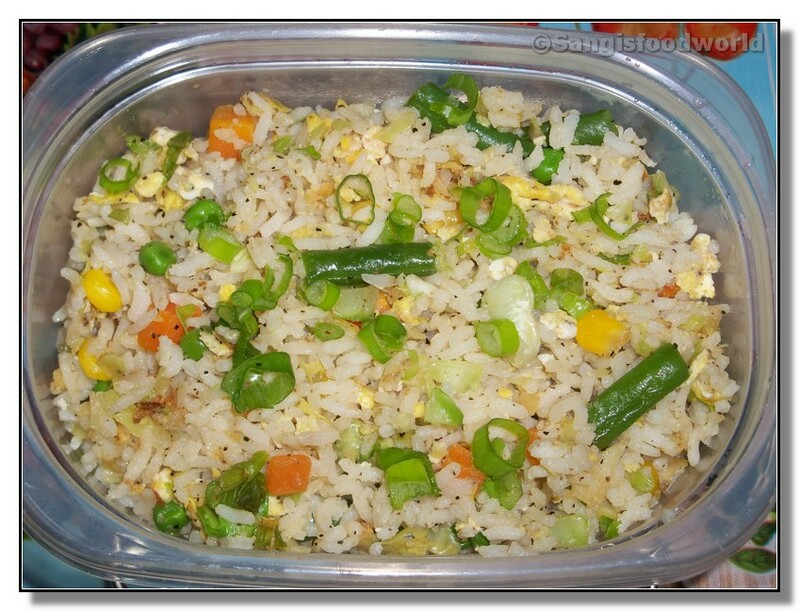 What could be the simplest side dish for the easy fried rice? 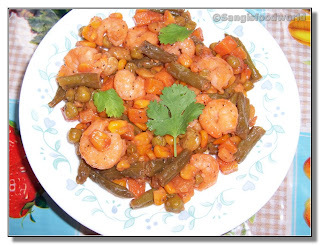 May be some stir fried vegetables or stir fry chicken.. Why not stir fry prawns mixed with vegetables. 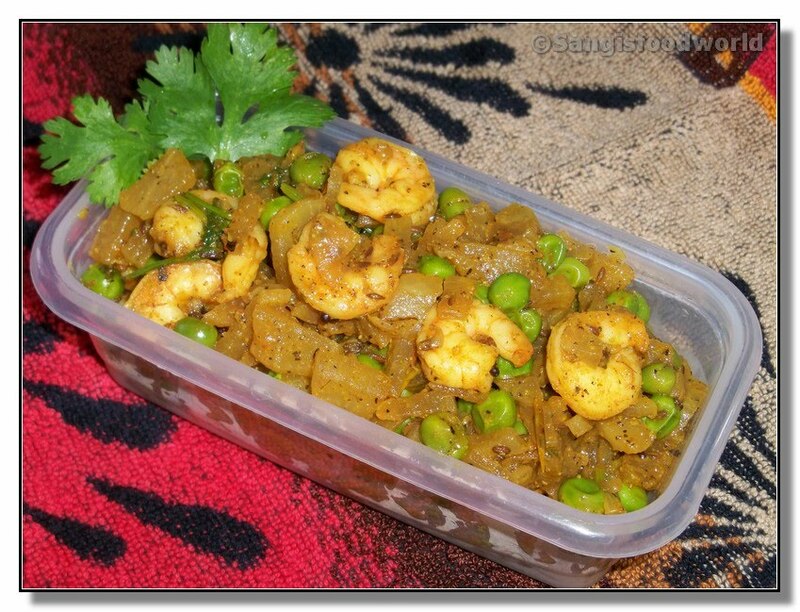 Here goes the quick version of stir fry prawns that would taste great with any kind of fried rice. Thinking for a quick meal.. Here comes the easy, tasty egg fried rice. If you don't need the eggs, forget them, you will have delicious veggie fried rice in your plate. 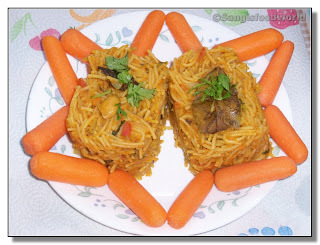 This is one of the easiest dish that could be made by any one and where you can let your imagination run wild. For example, add chicken to this same dish, you get chicken fried rice or add prawns and you have shrimp fried rice or anything you name it. The list goes on and on.. You can make mushroom fried rice, tofu fried rice, kheema fried rice etc just with this single base recipe.